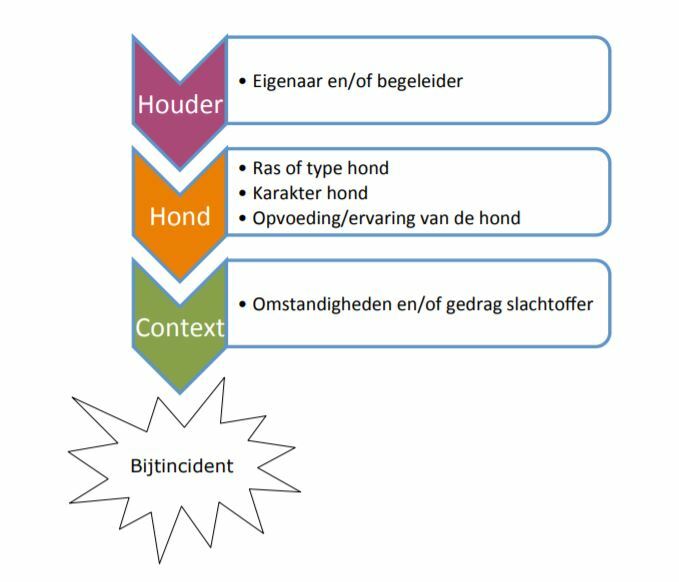 This entry was posted in Dogs and society and tagged breed specific legislation netherlands, fokverbod, gevaarlijke honden, hoog risico honden, import verbod, lijnplicht, muilkorfplicht. Bookmark the permalink. Post a comment or leave a trackback: Trackback URL. A very interesting read. I am the author of the Metropolitan Police Service, LEAD Initiative, (Local Environmental Awareness on Dogs). We engage with all dog owners, of all breeds of dogs, regardless of social background of the owner. Through early intervention we are able to manage RISK and proactively engage with irresponsible owners before their dogs move on to commit a more serious offence. 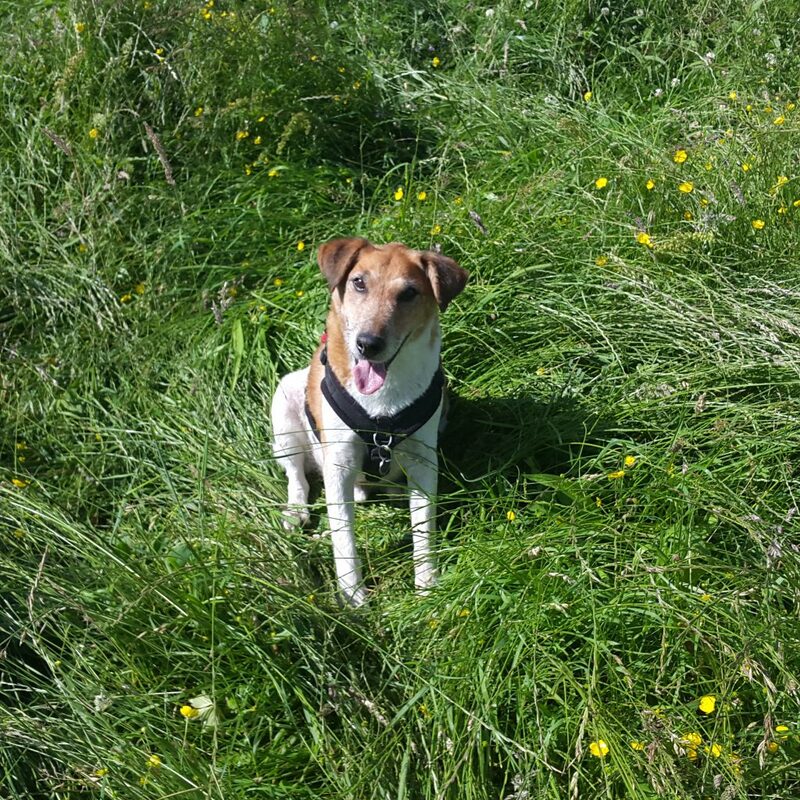 Over a period of 5 years, in the London Borough of Sutton some 297 owners were engaged with either due to their dog’s behaviour or due to their irresponsibility as a dog owner. Out of the 297 owners that have been engaged with, 4 have gone on to commit an offence under the Dangerous Dogs Act. Which is a success of over 98.7 % . Our work is recognised National as ‘Best Practice’ and is endorsed by national dog charities, government departments and ministers. Please do not hesitate to contact for more on the LEAD Initiative. Hi Heath. Many thanks for reaching out. I have just sent you a mail to follow up. LEAD sounds extremely interesting indeed. I’ve found your article very interesting. I have a Bull Terrier – we got her from a registered breeder (from the UK) and she is Kennel Club registered (with the kennel club name the breeder gave her) and she has a bloodline certificate. We live in England but taker her everywhere with us , even on holiday. We recently got married in Venice and she came too! We were planning to come to The Netherlands next year (2018), when this ban list may be in action. Can you advise me what I need to do? Or where I can go to find out? I hear in Denmark she can be seized and killed, and Germany has tight restrictions too in various states. I do not want to take any risks with her life, or have her taken off us. It’s all very confusing! Thanks for writing the article, it’s been a huge help so far. Hi Alison. Many thanks for your message. What we know so far, is that, somewhere at the start of 2018, owners of dogs on the list who do not have a pedigree recognized by the Dutch kennel club will need to attend a compulsory course. There is doubt about the timing as preparation does not seem to be progressing much. My estimate is 12 months, rather than 2. Depending on the gemeente (municipality, city council) you move into, different rules will be in order. A dog will only be seized with due cause, and this only happens if the dog is involved in a severe accident. Bear in mind that this is the way things work right now and that the regulations might tighten. So for now, I wouldn’t worry about her being seized. 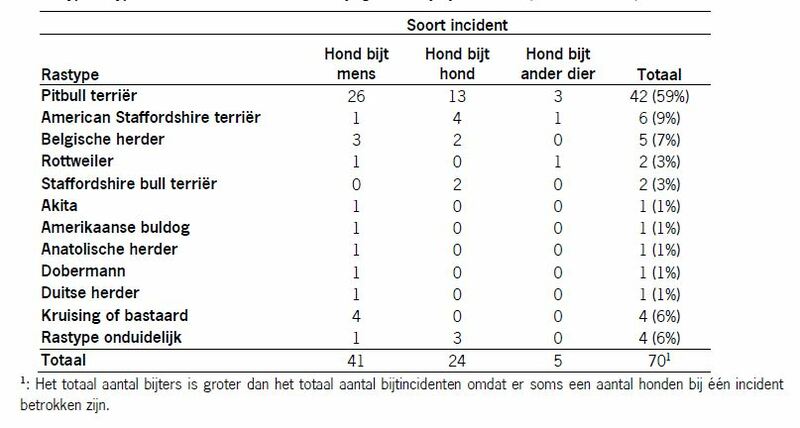 The worst that could happen if your dog has no aggression problem is that the gemeente says she needs to be muzzled (not pleasant, but dogs can be taught to tolerate it) and leashed. 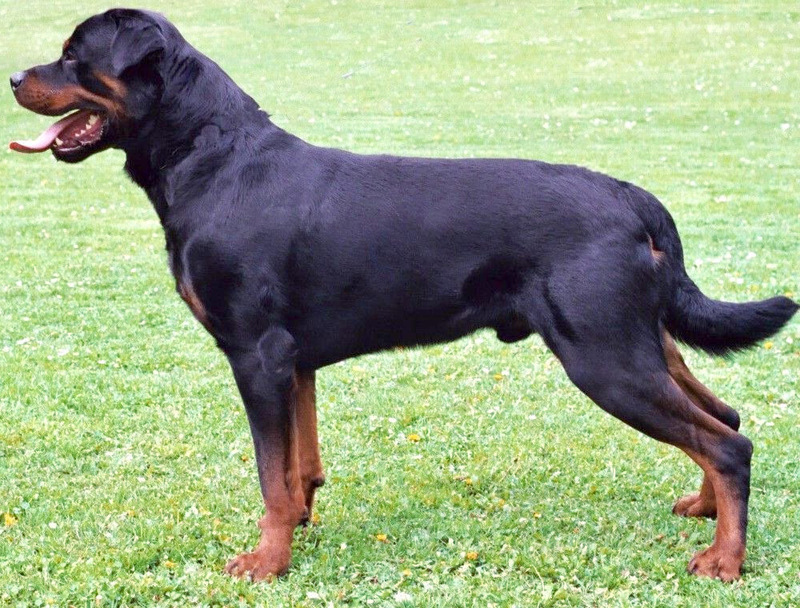 The minister of Finance who authored the law proposal has categorically rejected the idea of a standard rule for euthanizing certain dogs, even on the merits of a severe incident. He continues to recommend that euthanasia only be considered on a case-by-case basis. So you don’t have to worry about the worst case scenario when moving here. Having said that, a new government has just formed and I do not know to what extent this will affect the proposed legislation. Knowing the Dutch culture and the political climate around this issue, I would be extremely surprised if anything approaching euthanasia made it to the legislation. 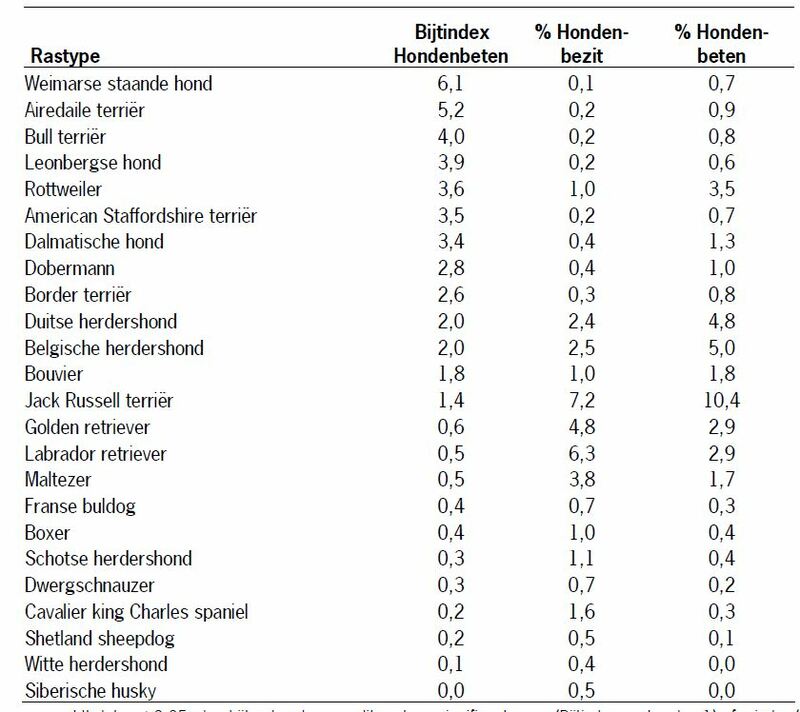 What I would do is check with the Dutch kennel club (http://www.bullterrier-rasvereniging.nl/index.php/96-raad-van-beheer) and ask them if you can make your UK pedigree into an official Dutch one. Then the local police will have no recourse against you (again, provided the dog has no aggression problem). If you are in The Hague, get in touch when you move here and we’ll help you further. Thank you for this thoroughly informative article. Very impressive and balanced view. I am a dog owner in the Hague, we had two Frenchies but lost one of them unexpectedly recently. While I still grieve his death every day, I started to think about the possibility of adopting a dog from a shelter as a way to appreciate his life, and to give the surviving dog a companion. I have noticed the overwhelmingly big number of Staffies (or variants thereof) in the shelters. I have always had a loyal and loving image of Staffies but I also feel I am not sufficiently familiar with the higher risk dogs. I am however, a committed and keen learner. There is of course also the issue of compatibility with our existing dog, which has the highest priority for us. Is there any advice you could give me as to what I could do (besides reading websites like yours), before calling the shelter? Thank you. Hi Kei. I am sorry about the loss of your dog. You must be devastated. As far as adopting a Staffie is concerned, I would advise caution in the sense that they are large dogs and most are very high-energy. Many are also dog-intolerant. 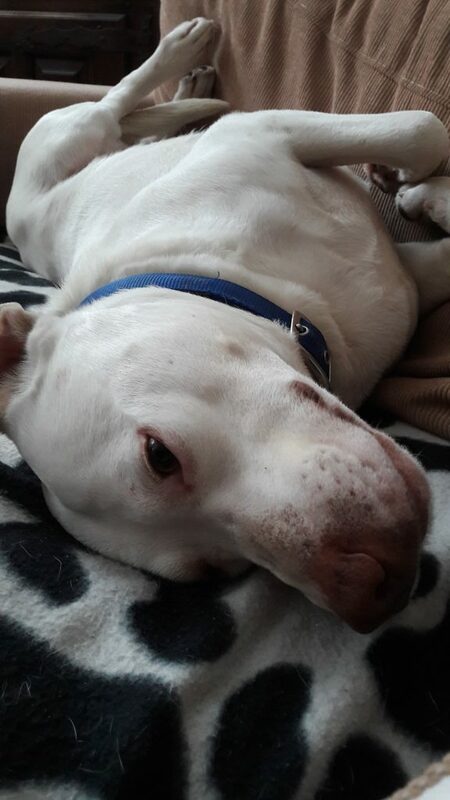 You might want to find out as much history from the shelter as possible to ascertain that you have a dog-friendly Staffie before you set your heart on one. You’d also need to have tons of time to exercise/entertain them. Aside from that, I am a huge fan of the breed in that many many many of them (the majority, in my experience), are indeed incredibly loving family dogs. But just a little on the hyper side and can be tricky with other dogs. 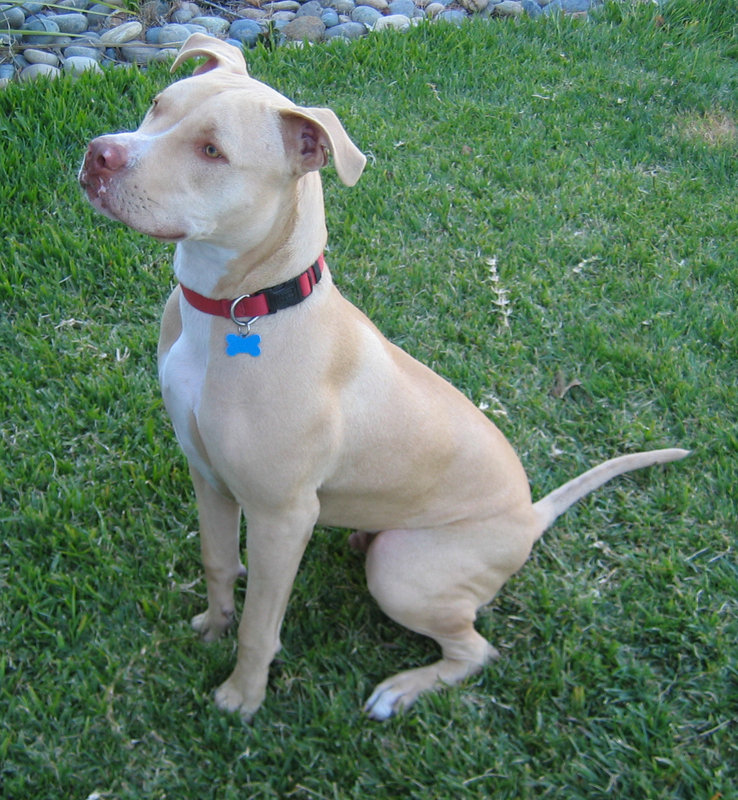 I have a rednose pitbull of 2 years old (neutered). We are currently residing in South Africa (immigrated in 2002) and want to move back to the Netherlands. I am currently doing research on whether we can take our pitbull with, as I’ve not found solid rules and regulations about what it means if she is classified as a high-risk dog? Would it be necessary to take her to behaviour classes before our move, what would you recommend? She does have trouble with new people, but is extremely social with our friends and family. With trouble I mean she is afraid and does not come close to whenever someone new approaches her, she just walks away from them. Is it true that she would have to wear a muzzle out in public? Does my dog need a dutch “passport”? or how does the process of registering her work? Looking forward to your reply! She is a sweetheart and I would be devastated to leave her behind. Hi Maxine. I am not sure, unfortunately, as many points in the proposed law are unclear. I could contact the Ambassy and ask. I suspect, for example, that you might run into trouble with the validity of your pedigree and you’d need to somehow transfer it to a Dutch one. I think it’ll be masses of paperwork but I don’t think anything unsurmountable. Very useful information. As it is 1 Dec 2018 I would like to ask if BSL is in tact. I have a pitbull/amstaff type dog, he is rescue. He has no documents what so ever on any kind bout his origin. We are working with him, but he’s not the best behaved for now. He’s always on a leash and sometimes muzzled. I spent 6 months in UK but came back because of him in my country as I saw that there is no chance of bringing him there with me. I am looking to relocate in another country, as the economy in my country is vary bad, but BSL is everywhere… I have a friend in Amsterdam that can help me settle and find job, but can I bring my dog with me ? Is there a risk him being confiscated by the police? Thanks for the answers! Hi AutKal. Many thanks for your mail. As of today, there is no BSL in place in the Netherlands, but the government has repeatedly stated, recently also, that they want to allow municipalities to implement BSL. In short, the issue is brewing, and there is talk of an import ban. I would get in touch with Amsterdam’s municipality and find out what their intentions are. Thank you for a very interesting read and some of the points you make strike a chord with me. I live in the Netherlands but I was bitten this year by a Weimaraner in France. I was cycling and he came out of nowhere and bit me on my calf but ran away when I screamed in pain. Luckily other than the bite marks, there was no major damage done. But the bite incident created a fear of dogs in me and that fear is heightened especially when dogs are off-leash or are on retractable leashes and are rarely under control of the owner who don’t seem to care. I am no dog expert but I believe that owner should be held responsible rather than the dog. Often I see off leash dogs run up to me barking or growling and the owner despite seeing me freeze in fear simply brushes it off with a simple he means no harm but probably doesn’t realize the trauma of the person undergoing it. I hope the dog owners also realize it some day. I am not sure what is the solution for it but it would help if people like me don’t have to be scared about walking back home fearing off-leash dogs or dog-owners not being frustrated about not having enough off-leash areas for their dogs. I understand the gemeente collects dog tax but I am not sure if it is put to good use. I would really like it if the government would implement laws that are kind to both the general public and to the dog owners for one day I would like to be a dog owner. I would love that too: seriously supervised and well-designed designated play areas for dogs, and zero tolerance for off-lead dogs in other areas. I really understand your feeling because, if a dog can just come out of nowhere and bite you, where can you feel safe. I often see the phenomenon you describe, where a passser-by is clearly frightened by a passing dog, and the dog owners make ZERO effort to increase the distance. I find it outrageous. I do not think that BSL is the answer, though. Great page and information. I am so happy I came across it. I have a Staffie that is very calm and gentle. Passing his canine good neighbour test was a breeze. This is my second staffie and wish I had gotten her certified also. Now I just love these dogs. Can you direct me to papers showing the ineffectiveness of Breed Specific Legislation; and are there any studies/papers showing BSL to be effective? If so, I haven’t come across any. Hi Frances. 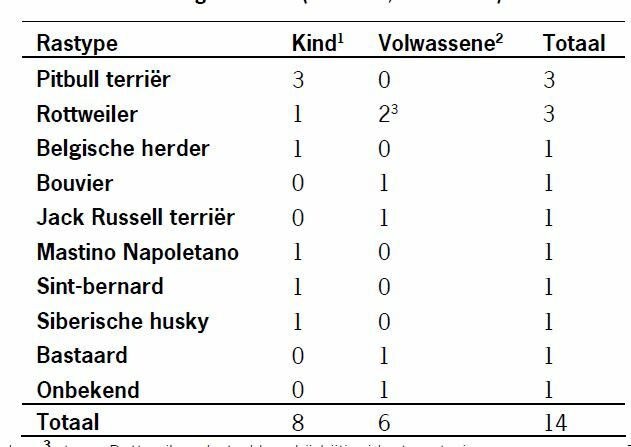 For every paper that says that BSL is ineffective, other papers (generally from surgeons) says that the usual suspects are above-average aggressive breeds. So on the one hand, you will be quoting the ineffectiveness of BSL and on the other, pointing to the fact that something needs to happen. I think quoting one paper or the other won’t be your answer, because you’ll be accused of cherry-picking. But if you go to Google Scholar and type breed-specific legislation, you’ll find tons of references. I don’t know of a single paper that claims BSL is effective, so you’ll have a lot of examples. They did a lot of research on this in Spain, for example, and there’s some nice short papers about Spanish BSL. I am so sick of BSL. I am trying to get to Europe with my American Staffordshire mix. She is 50% lab, then the rest is bulldog and american staffordshire terrier. She looks like a pit bull even though that is at most 25% of who she is! She is a great dog. She is also neutered. I wish that they would allow dogs who are neutered, who can pass a temperament test. I would fly into Holland then stay for a few weeks, then make my way up to Northern Germany where I want to live for a couple years. They don’t have any BSL in lower saxony.